What is guided meditation? In a nutshell, it is allowing someone to assist you with your meditation so that you can achieve a greater or deeper success than you could do on your own. 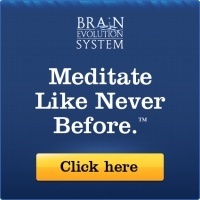 Have you always wanted to try meditation, but weren’t able to achieve any results? Are you just starting to learn about the benefits that meditation can bring and aren’t sure where to start? Whatever your personal circumstances may be, guided meditation is a fantastic way to begin living life to its fullest, to start enhancing your sense of self, and to transform your personal perspective. When you make the choice to begin guided meditation, you can either do it in a class session or in an individual session – whichever makes you more comfortable. As you settle into a comfortable position and begin to open up your mind, your guide will help you transition into a meditative state by offering you several visualization exercises that will push you further toward a meditative state. Your stress will begin to fade, your mind will become clearer, and you will be much more open to positive suggestions. That’s where the power of a guided meditation comes into play. For some people, it can be extremely difficult to achieve a meditative state at first because their mind just races through chores, memories, and other events. Meditation teaches that as these thoughts come to mind, you’re supposed to push them outside of your consciousness, but let’s be honest – that’s not always easy to do. With guided meditation, you essentially get a teammate that will help you focus on something besides your racing thoughts. As you listen to instructions and focus on following them, you have a way to be able to achieve better results because you are working on disciplining your mind to do what it needs to do. What stresses you out the most during the day? For some people, it is their workplace environment and a supervisor who always cracks a strong whip. For others, it is their home environment where they have to constantly clean it and take care of multiple children with very little help. 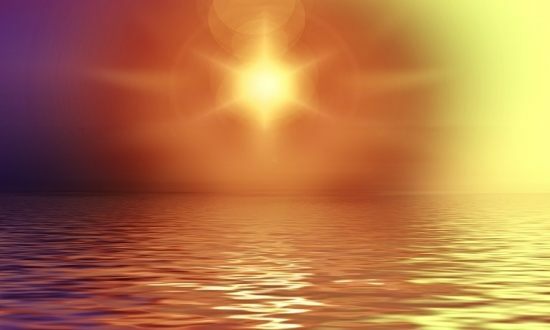 A soothing voice during a guided meditation session can take someone out of that stressful environment that the mind has created and take them into a place where they are care-free, happy, and relaxed. When the mind is free from daily cares, even if only for a little while, it has the ability to better cope with whatever is going on in life. A calm mind is a happy mind. People can think that they are calm and stress-free, but that believe can actually be a self-induced delusion. Anxiety and fear can be lurking right around the corner. Are you afraid to fly? Does the thought of flying make you cringe? Then your mind is not truly in a relaxed state. Are you in a relationship? Are there issues you have with your partner that are unresolved for you? If so, then you’re not in a calm state of mind. A few guided meditation sessions is really all it takes to help get the mind into that beneficial calm state and restore the natural rhythms that your body has. Does Guided Meditation Promote Healing? When we think of healing our bodies, many people associate this being done under the care of a medical professional. Of course doctors have the ability to diagnose and heal, but there are other maladies, such as stress, that can cause untold damage to our bodies as well. Now a doctor might diagnose medications to help you manage your stress, but with guided meditation, you can manage your stress naturally. Stress and anxiety can cause muscle spasms, irregular bowel function, headaches, migraines, and plenty of other physical symptoms. If stress is causing these in you, then guided meditation truly can help the body to start healing. The beauty of guided meditation is that you don’t actually have to go anywhere or be social with your mediation to experience it. A recorded voice or meditation program on a CD or other audio medium can help people be able to guide themselves into a helpful meditative state. For others, their own voice can be used to induce a self-guided mediation. Other people find guided meditation through the use of tones and other sounds is highly beneficial. What matters most is that people find the guided meditation technique that works the best for them. Some people enjoy having a soothing voice guide them while in the company of others. Other people enjoy a solitary guided meditation that is self-induced. Are You Ready to Try Guided Meditation? Do the stress of every day life have you feeling drained? Are you not feeling recharged after getting a full night’s sleep? If so, then guided meditation might be right for you. It is a non-threatening, non-invasive way to calm your mind, cope with stress, and experience life the way it was meant to be enjoyed. If you liked the above article, please consider sharing it!